Our Zimbabwe safaris take you to one of the world’s most intriguing destinations with Victoria Falls, ancient Iron Age ruins and rich game viewing. Zimbabwe offers a large variety of scenery, one of the African continent’s finest, largest concentrations of wildlife and a perfect climate with an average of 7 hours of sunshine daily throughout the year. 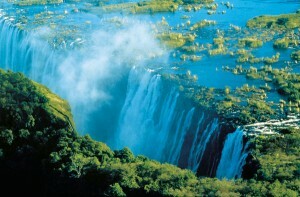 Zimbabwe is also home to the one of the 7 Natural Wonders of the World, the magnificent Victoria Falls. Also known as Mosi-oa-Tunya or “the Smoke That Thunders”, this avalanche of water beckons invitingly in the heat of the African sun. Enjoy the finest views atop the infamous Knife-edge Bridge or walk through the Rain Forest that grows within the billowing spray. Wonderful activities surround this spectacle, from bungee jumping and micro-lighting to white water rafting, canoeing and river cruises. Remarkably well preserved, the falls and its surrounding areas have been declared national parks and a World Heritage Site. As the country with the most UNESCO World Heritage Sites in Southern Africa, Zimbabwe’s hundreds of San rock paintings and ancient ruins from the Iron Age satisfy the most avid history connoisseurs. 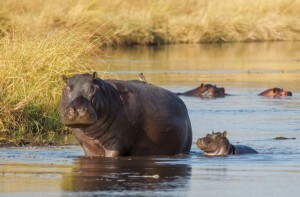 With so much to offer, our Zimbabwe safaris are a popular choice with visitors to Africa. Blessed with fertile soil, mineral wealth and breath-taking scenery, Zimbabwe has two major rivers which form its Northern and Southern borders. 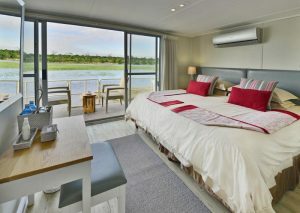 The Great Zambezi River cuts across the North and the Limpopo River forms the Southern border. With so much to see, better include our Zimbabwe safaris on your next African itinerary.